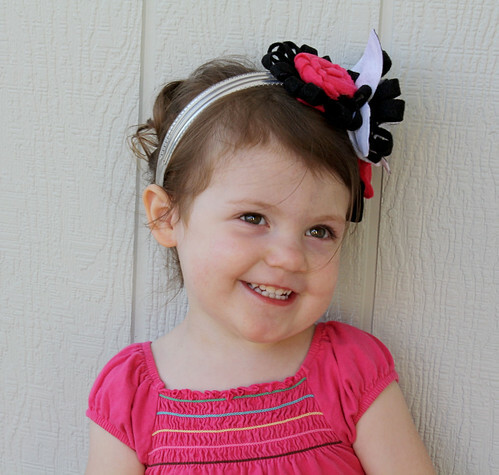 A wonderful lady asked for a custom headband and I made two for her to choose from. She bought one, but the other is up in my shop. I just wanted to share the pictures of my daughter. I have never caught any with her with these smiles/faces. 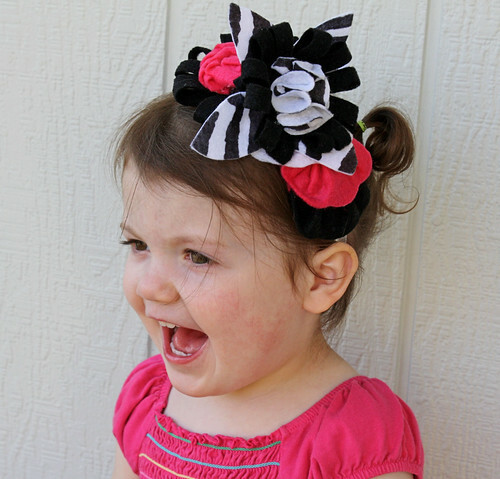 I am just in love with your headbands! They are so artistic and beautiful and bold! These pictures are fabulous too! What a beautiful little girl. 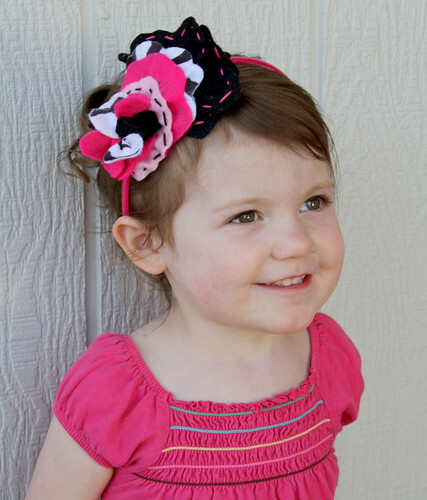 Cute headbands. Your daughter looks so cute. awwwwww ♥ look at that happy girl. love these shots. tooooo cute. she looks so precious! Love this headband, too. This headband makes me HAPPY! I wish I had a little girl to wear it…I don’t think my 8 month old baby boy would appreciate it (lol). I love that pretty smile. Wish she’d let you capture it more. I love your headbands. I just started making hair accessories for my daughter.